It seems GameFAQs does not like how this program scans for covers and information. I have received reports of people receiving temporary IP BANS from GameFAQs because of it. Here is one such example. Therefore, be aware that using PCSX2Bonus could (update: will) result in a temporary(or permanent with continued use) ban from GameFAQs servers, since the scan is automatic. 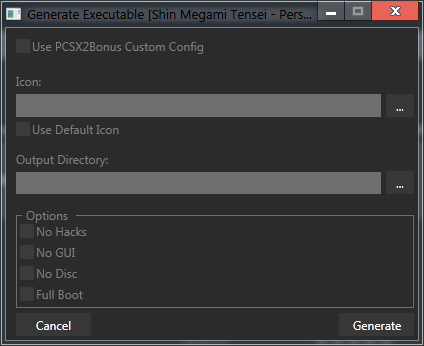 If you wish to use PCSX2Bonus, it is recommended to disable the automatic information scraping by following the steps here. This should only be a temporary issue, as Dexbonus is aware of the problem and working on it! 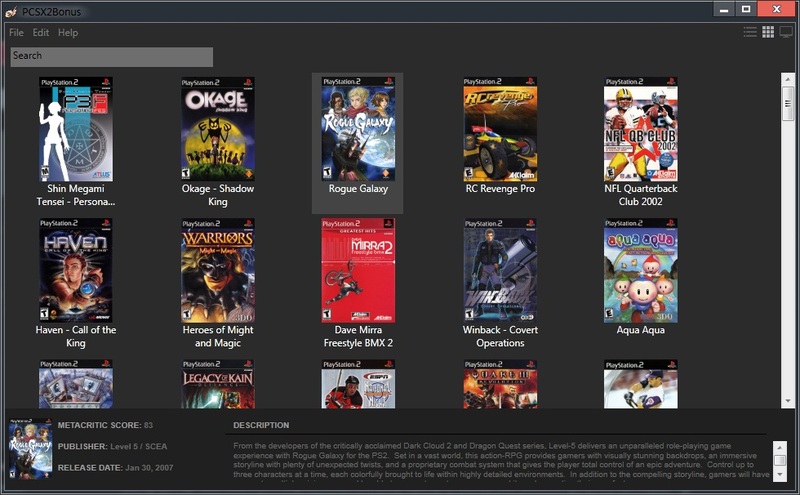 Basically its as the title suggests; a launcher / front end that allows adding your games from a .iso file then proceeds to crosscheck the pcsx2 GameIndex.dbf to obtain the information for the game and downloads the cover art on the fly. 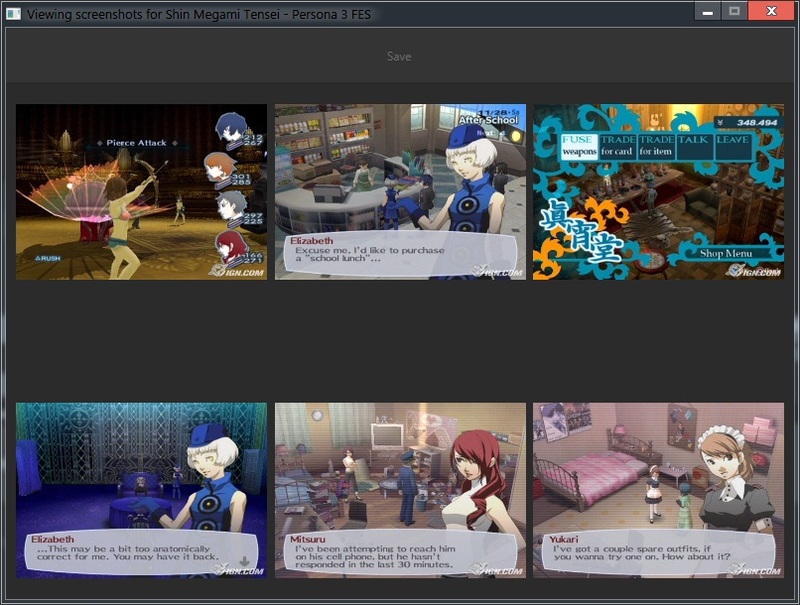 Via right click functionality it allows the viewing / management of save states and launching the selected game with pcsx2 via cli with optional parameters and support for custom configuration per game. I originally designed it to reflect the way the dolphin emulator looks but have since added a couple different view types. [*]Added a portability mode which can be activated via the settings! I've recoded the entire program from scratch in an effort to eliminate bugs that have been plaguing some users and to increase the usability of the program, please let me know if you have any problems with the new version and I'll continue trying to improve the program! 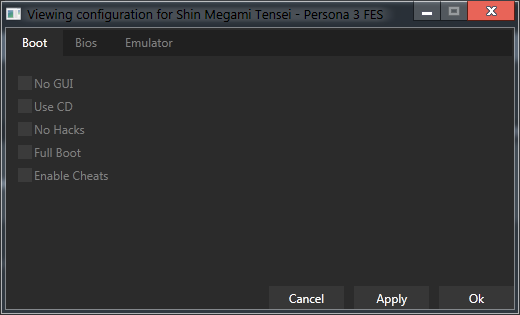 This is a pretty big update so I'll be refering to this one as version 2 from now on For the sake of allowing users to have more customization I've redone the project entirely in WPF as opposed to windows forms. I've also switched the program over to .net 4.5, so make sure to grab the redistributable for that if you don't already have it in order to use v2. 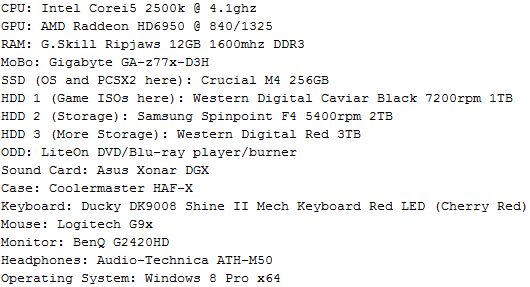 Some new features have been added which you'll find listed below and some bugs have been squashed. Obsolete code has been removed and pretty much everything is faster. This version IS slightly rushed because I wanted to get some of the issues fixed that people have been having, but the only thing to suffer from that is some new features not being completely finished. I'll post some screenshots up of v2 as soon as I have more time. Added! Added a new feature that allows the rescraping of a game. Once initiated you are presented with a list of possible results, once you choose one the program will redownload the information and cover art and update it in your library. 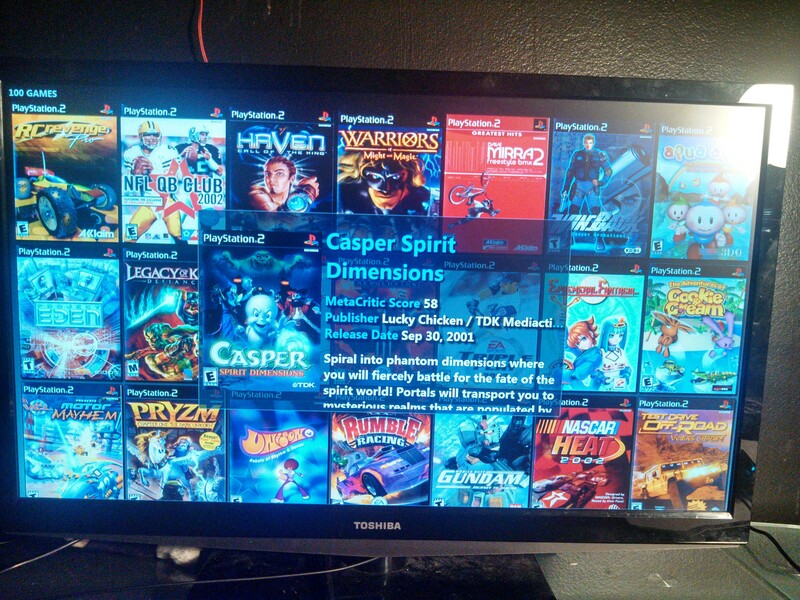 Program is now theme-able (although this feature isn't entirely complete yet). You'll find a new folder called Themes in the program folder which contains the default theme file you can use to edit the look of the program. 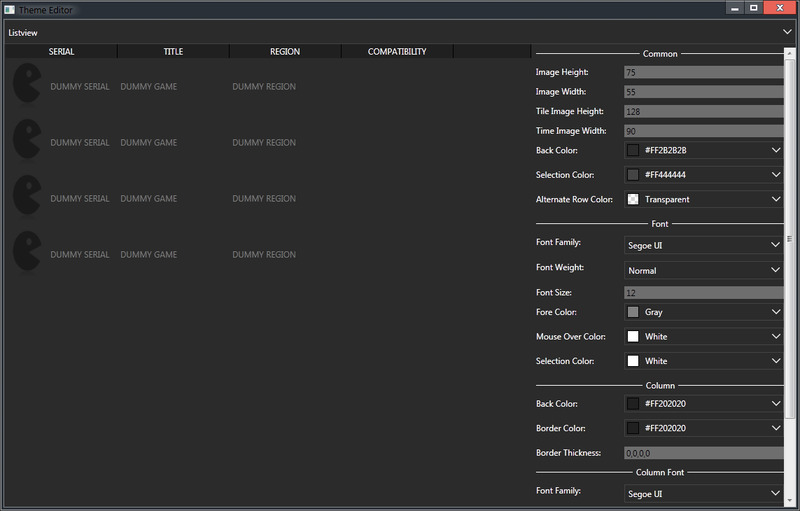 There is also a built in editor(also not completely finished) which can be accessed in the settings options. 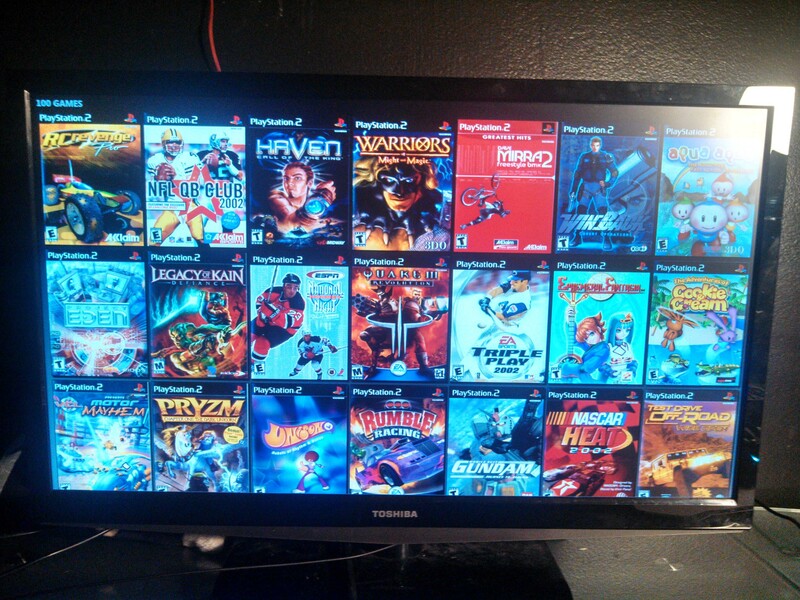 Fixed an issue where entering and exiting TV mode multiple times would cause an out of memory exception. Looks very nice, I'll give it a look soon. Nice one Dexbonus, All working here. Just one issue ive found, Seems not to allow Ps2 cd`s to be imported, i get a "Error adding to library.Reason:Arithmetic operation resulted in an overflow"
Cant wait for per game configuration, great work!